The zoological and botanical park Croc Farm can be found in a small valley following a bumpy 10-minute car ride from Ivato Airport. Spanning three hectares, this lush green oasis is ideal for day trippers from Tana or as an entertaining pastime before catching a flight. 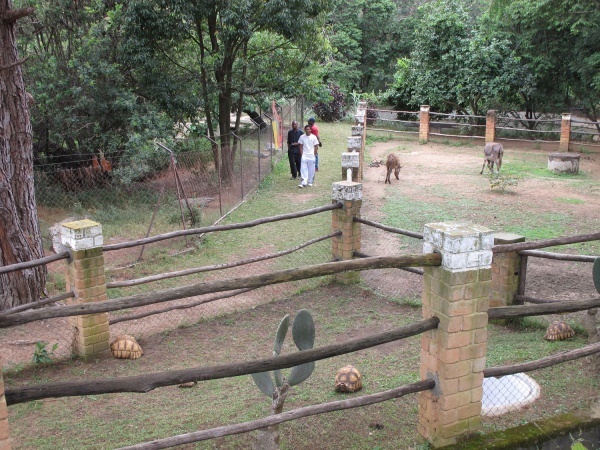 Croc Farm is one of the most visited private parks in Madagascar. Not only can visitors observe crocodiles, but also some 80 animal species and various plants and flowers from Madagascar. Trained guides will show visitors the smallest chameleon in the world, free-living Sifaka lemurs, fossa, snakes, frogs, parrots and turtoises etc.. 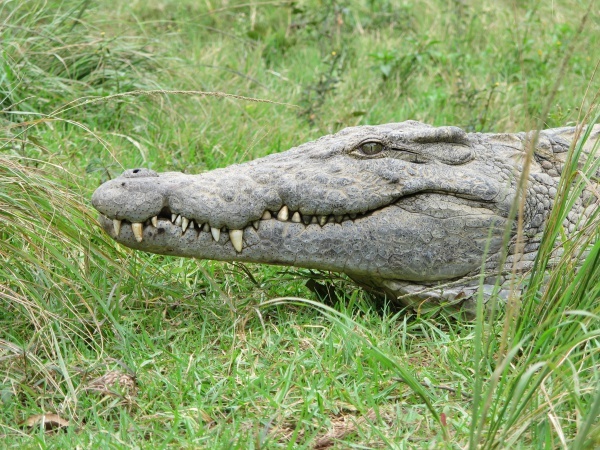 The main attraction is however the huge Nile crocodiles, the biggest predator of Madagascar. Hundreds of crocodiles can be seen lazing in the sun at the shores of a lake. The best time to see the crocodiles in action is during feeding time (Wednesday, Friday and Sunday around 1pm). 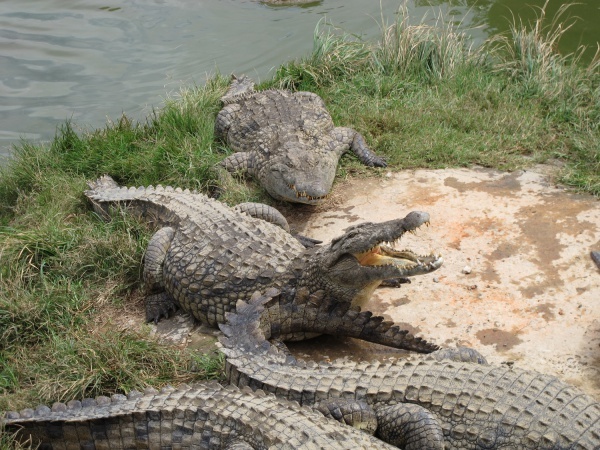 The Croc Farm also informs its visitors about the serious threats the few wild-living crocodiles face in Madagascar and about various legends that surround these impressive reptiles. The pleasant garden restaurant Coco d'Iles Taverne next to the lake serves all kind of crocodile specialties, such as Croc Burger (15,000 Ariary) and grilled croc meat on a stick (15,000 Ariary). The taste of the meat is a cross between chicken and fish which can have a slightly muddy aftertaste. For those who do not dare to try something new, there are also various croc-free and vegetarian meals available on the menu. 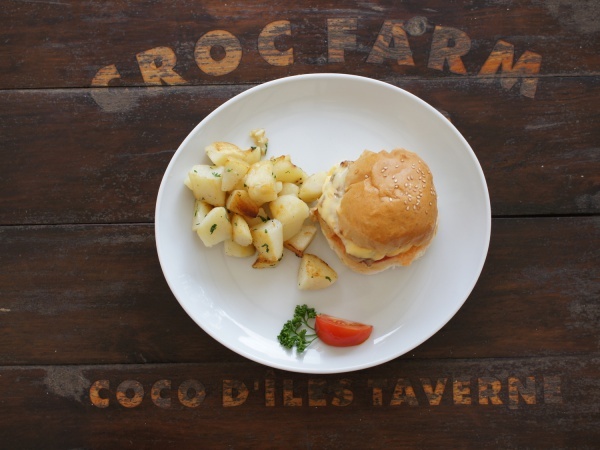 The crocodiles at Croc Farm are raised for leather and meat. Reptel, the company behind the Croc Farm, is since over 20 years breeder, producer and exporter of Nile crocodile skins for luxury leather goods. Today, Reptel Madagascar, also known as Sobek, is one of the few enterprises worldwide, which perform the entire process from the collection of crocodile eggs to the final production of fine leather goods. The production cycle is divided into four steps: 1) the collection and incubation of the eggs, 2) the first growth phase of about six months, 3) second growth phase until slaughtering depending on the size of the skin and 4) processing before local tanning or export. As of 2007, the tanning process is done 100% vegetable. Reptel/Sobek has its own brand of leather goods that are designed and produced in their workshops. Fine leather products, such as handbags and belts, can be bought at the souvenir shop directly at the Croc Farm, or at the Sobek shop in Hotel Carlton in Antananarivo as well as in the duty free zone of Ivato International Airport. 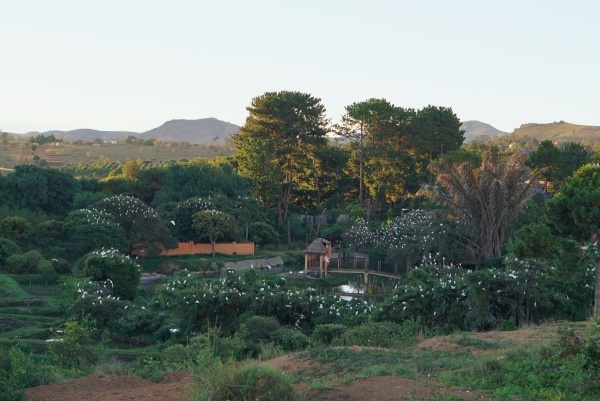 The Croc Farm is open daily from 9am to 5pm. The entrance is 15,000 ariary. The guides inside the park may expect a small tip. Children under five years can enter free of charge. This page was last modified on 2 December 2017, at 20:23.